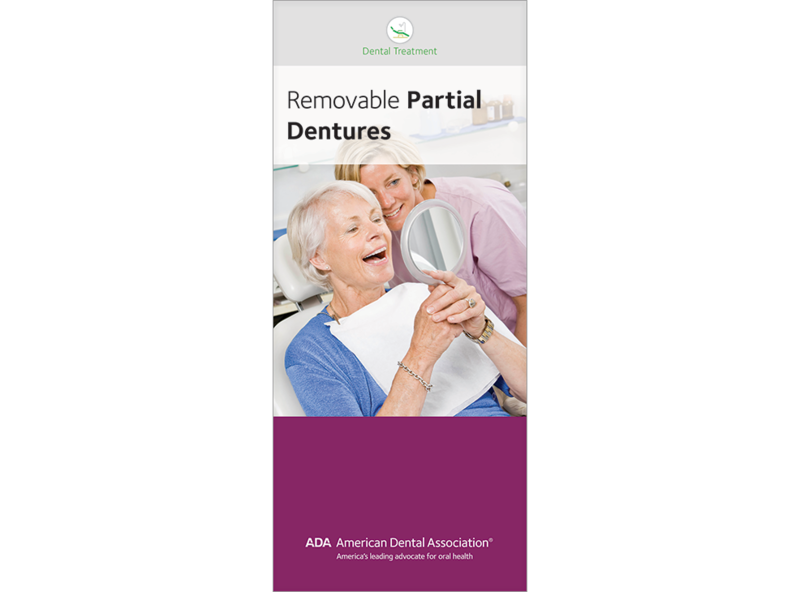 This brochure conveys the importance of replacing missing teeth and shows what partial dentures are using illustrations and updated images. Gives tips on getting used to partials, and eating and speaking with them. Encourages patients to visit their dentist for any necessary adjustments and repairs. Reminds wearers that it’s key to maintain good hygiene for remaining natural teeth. Pack of 50, 8 panels.